The Program: Assembly offers those caught up in the justice system an inroad to art and connections to working artists and serves as an alternative to incarceration while empowering young people to take charge of their own life story and imagine a positive future. Once participants complete the program prosecutors may close and seal their cases, allowing youth to avoid an adult record. Participants may stay involved at Recess through paid, long-term engagement as part of our Peer Leadership and/or Artist Apprenticeship tracks. 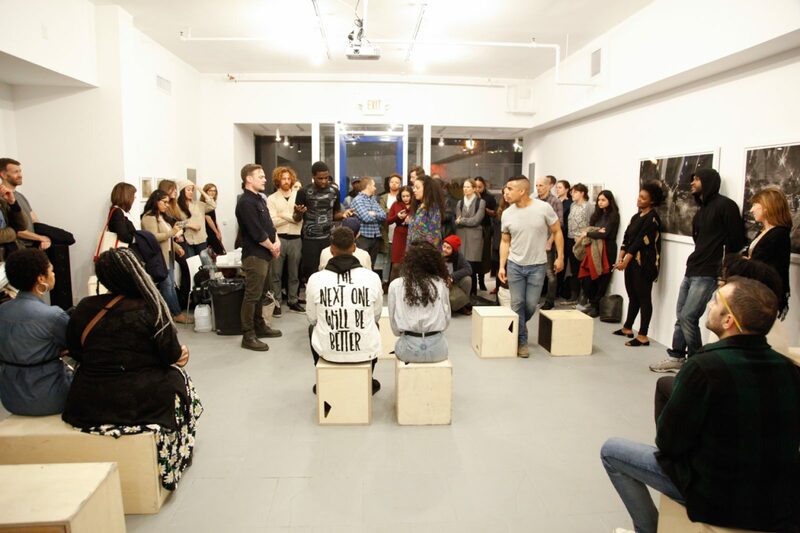 As of January 2019, Assembly operates alongside our Session program at 46 Washington Ave, and is both a public storefront gallery and an artist-led diversion program for court-involved youth in Brooklyn. 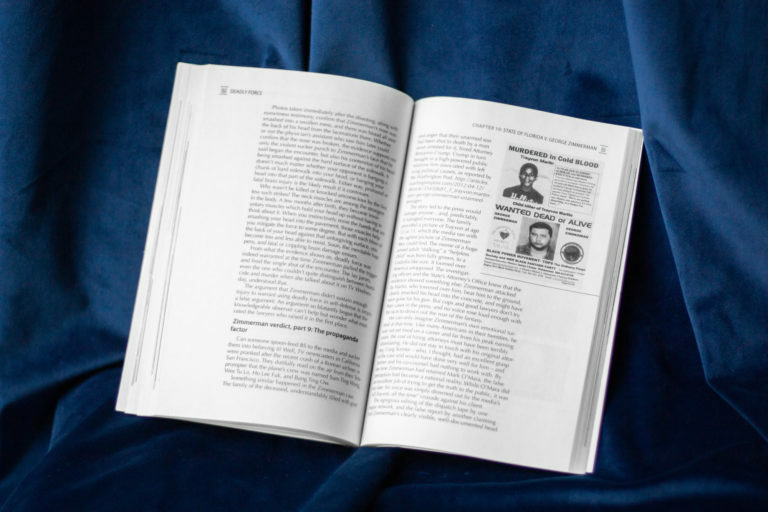 Assembly seeks to dismantle the dominant narratives of the “criminal” through a series of artist-led visual storytelling workshops designed to lend agency and power to participants as they tell their personal stories on their own terms. The Data: According to 2015 data from the State Division of Criminal Justice Services, Black and Latino youth make up 33% of the state population but 72% of all arrests and 77% of felony arrests. This population also represents 82% of youth that receive adult sentencing. Recess considers mass incarceration, and specifically its local effect on youth of color, to be one of the most pressing social justice issues of our time. We believe artists are uniquely situated to address this problem due to the creative toolkit they possess and their ability to offer nuanced perspectives when examining systemic inequities. ● Participants: Program participants are individuals, aged 16-24, who are convicted of misdemeanor crimes in Brooklyn. ● The Court Mandate: Participants meet in dedicated classroom space for two hours each week across four or eight-week cycles. After participants complete the program prosecutors may close and seal cases, allowing participants to avoid an adult record. ● Curriculum: Through storytelling and performance the curriculum first points out the flaws in the generalized and false narrative that foregrounds criminality in scenarios that result in sentencing, and then seeks to replace it with nuanced, individual accounts defined by their emotional and subjective content. ● Long-term engagement: In addition to the court-mandated portion of the program, Assembly offers participants paid employment opportunities to complement and build upon the storytelling and performance skills they gain during the mandated workshops. These paid, voluntary opportunities through our Peer Leadership and Artist Apprenticeship tracks offer our young people a chance to work closely with our artists and then present their work in our public gallery. Our young people develop independent projects with our artists; work as art handlers and apprentices for Recess artists; and have the opportunity to become paid peer leaders in future iterations of the Assembly program, taking ownership of the curriculum, leading parts of program sessions, and serving as mentors to their peers. Major funding for Assembly is provided by The Horace Goldsmith Foundation, The Salomon Foundation, Art for Justice Fund, Pinkerton Foundation. Laurie M. Tisch Illumination Fund, Donald & Shelly Rubin Foundation, Andy Warhol Foundation and ELMA Philanthropies.